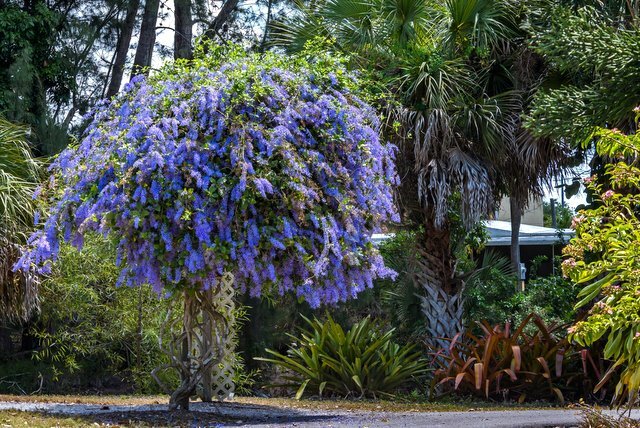 Fort Myers, FL, Jan. 16, 2018 – The Lakes Park Enrichment Foundation will present “Lakes Park Garden Day,” a morning of free education and celebration of all things gardening, 8 a.m. to noon Saturday, Feb. 17, at the park, 7330 Gladiolus Drive, Fort Myers. No registration is required. The Community Garden will provide garden-related refreshments as they present “What to Plant Now in SW Florida” and “Butterfly Gardening in SW Florida,” both taught by Master Gardener Adrienne Diaz. The Fragrance Garden will conduct a plant sale, featuring specimens propagated in their new potting area. In the Children’s Garden, Happy Dolphin Press will lead activities for parent-accompanied kids. Garden tours will be conducted by Roy Beckford and Ramdas Kanissery, both from the University of Florida’s Institute of Food and Agriculture. The EZ Rider tour vehicle will be making continuous loops of the Botanic Gardens for those who would not otherwise be able to enjoy a tour. Other education partners for the day’s activities include Conservation 20/20, the Florida Native Plant Society and the Southwest Florida Orchid Society of Fort Myers. This event is free and open to the public. Free parking is available by checking in on the day of the event at the Children’s Garden archway; otherwise parking is $1 per hour or $5 per day. Lee County annual parking stickers are accepted. The Lakes Park Enrichment Foundation is a non-profit organization that raises funds to enrich the park with projects, including an expansion of the Botanic Garden. The foundation’s focus is to assist Lee County Parks & Recreation in the continued implementation of the $30 million Lakes Park Master Plan, enhancing the park’s environmental aesthetics, wildlife habitat and recreational amenities for the community to enjoy for years to come. Visit www.lakespark.org for more information.